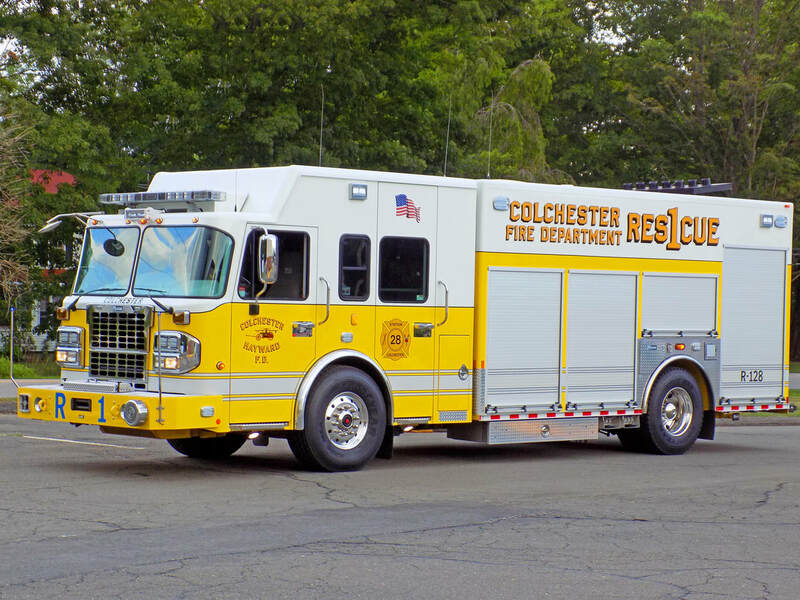 This is the page for the Colchester FD. 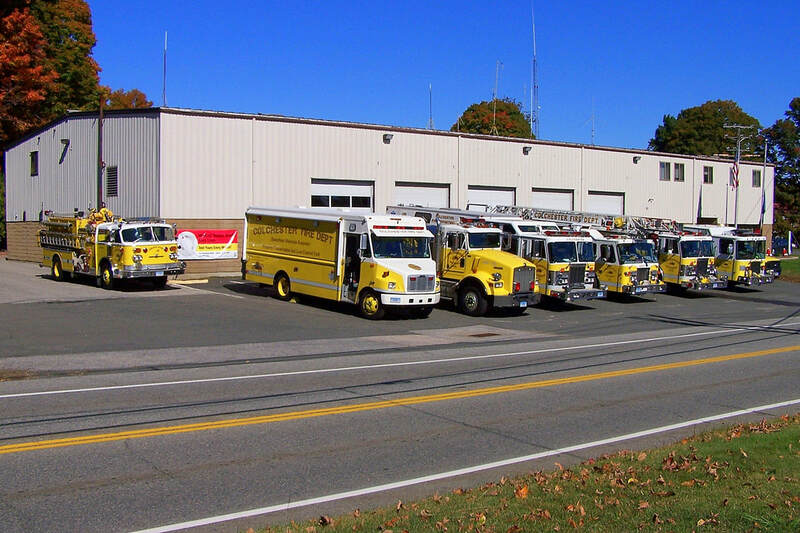 They have 4 engines, 1 ladder truck, 1 rescue truck, 1 tanker truck, 2 ambulances, 2 brush trucks, 1 haz-mat/utility, 1 hose tender, 1 fire police unit, 1 antique truck, and 2 stations. 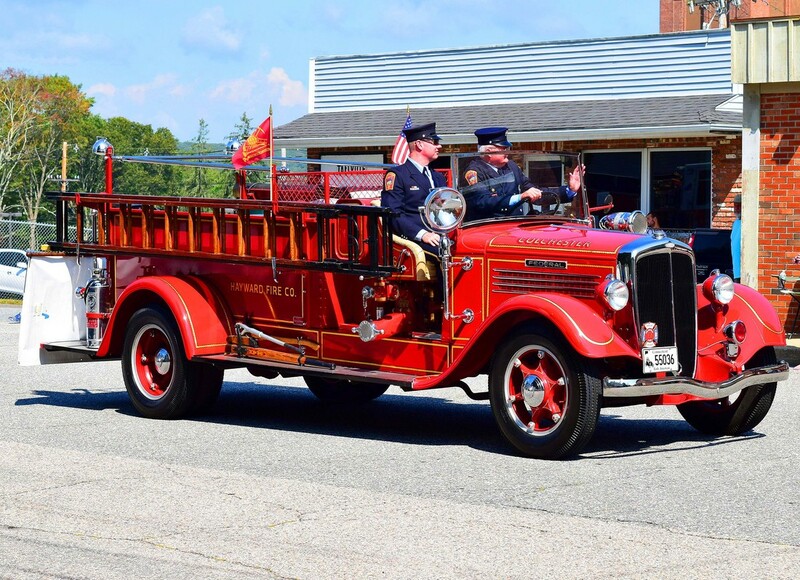 Colchester's Antique Truck, a 1936 Federal. 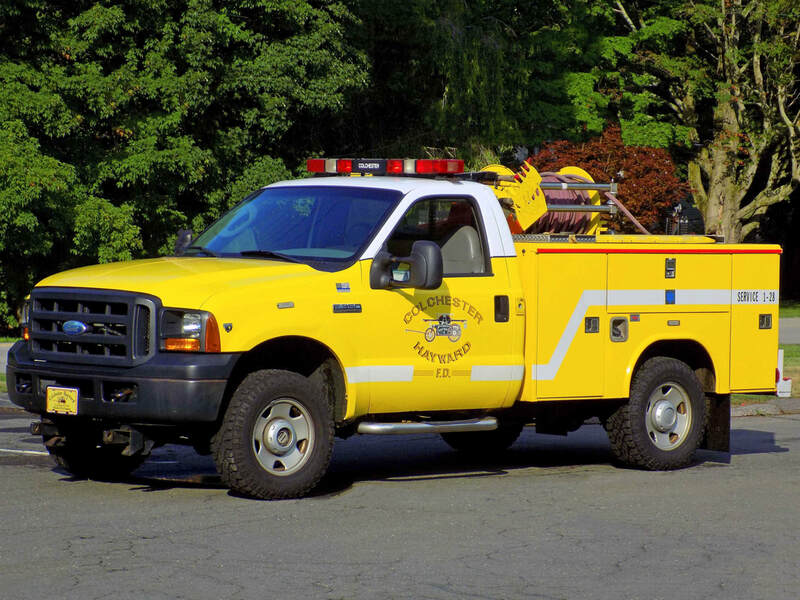 Colchester's Service 128, a 2005 Ford F-350/Reading. 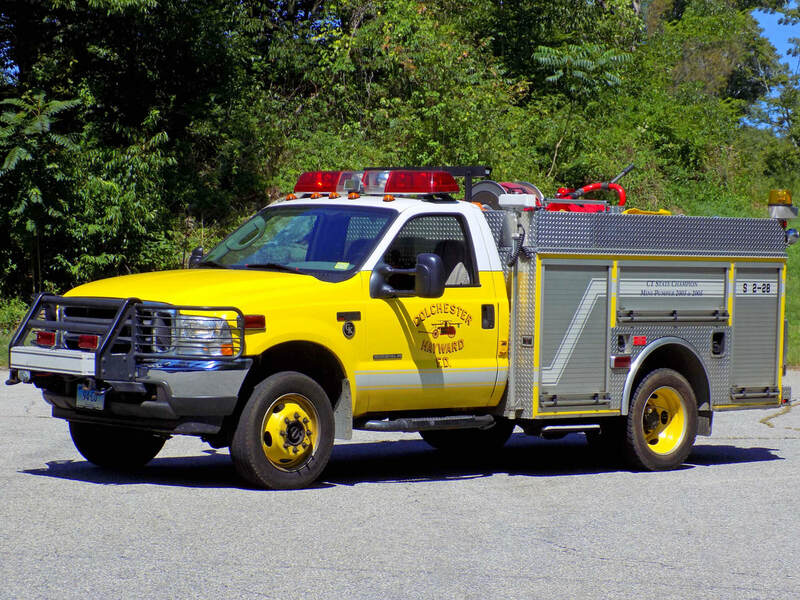 Colchester's Service 228, a 2003 Ford F-550/Gowans Knight. 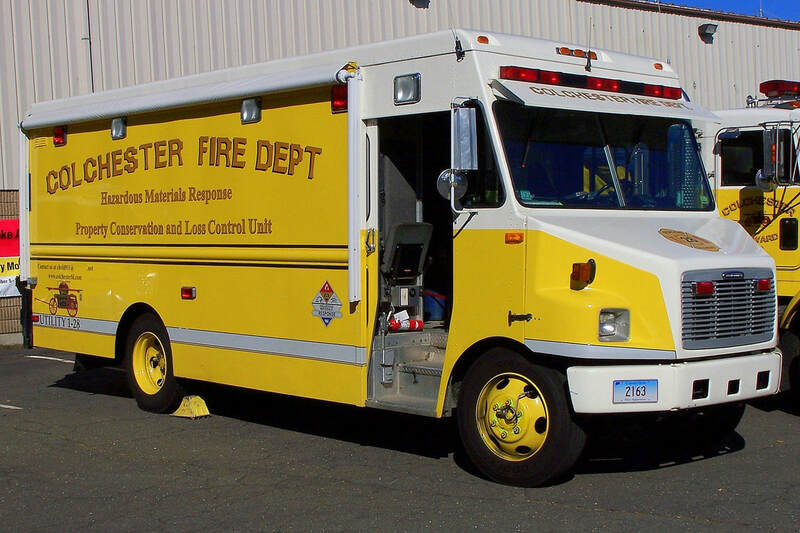 Colchester's Engine Tank 128, a 2001 HME/Central States. Colchester's Engine Tank 228, a 2010 Spartan/Marion. 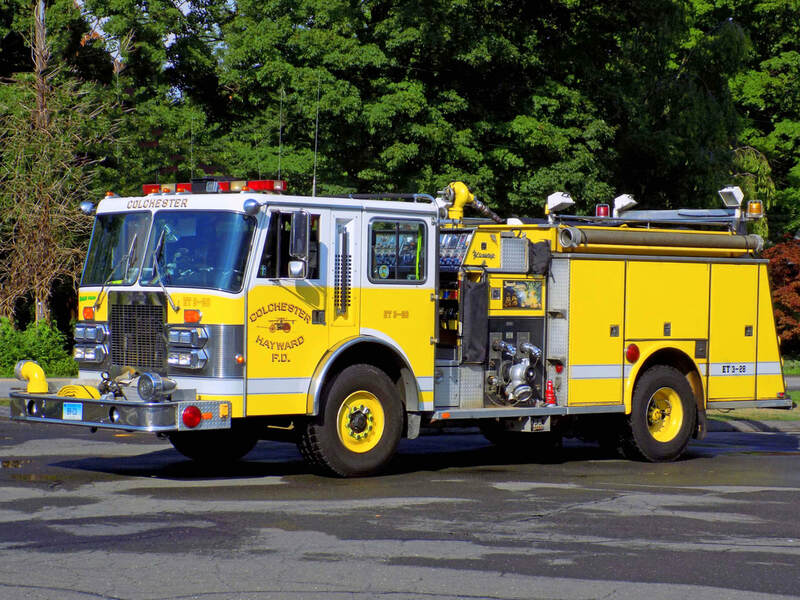 Colchester's Engine Tank 328, a 1988 Simon-Duplex/Young. 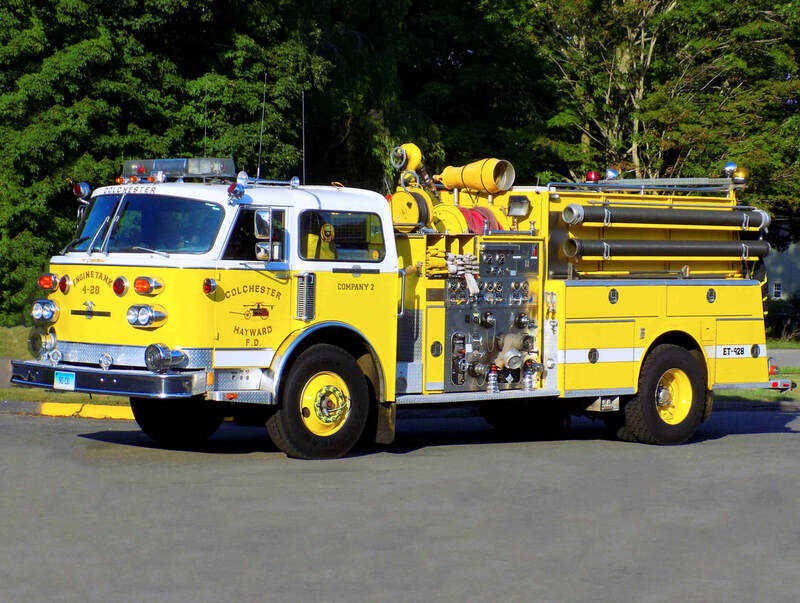 Colchester's Engine 428, a 1982 American LaFrance. 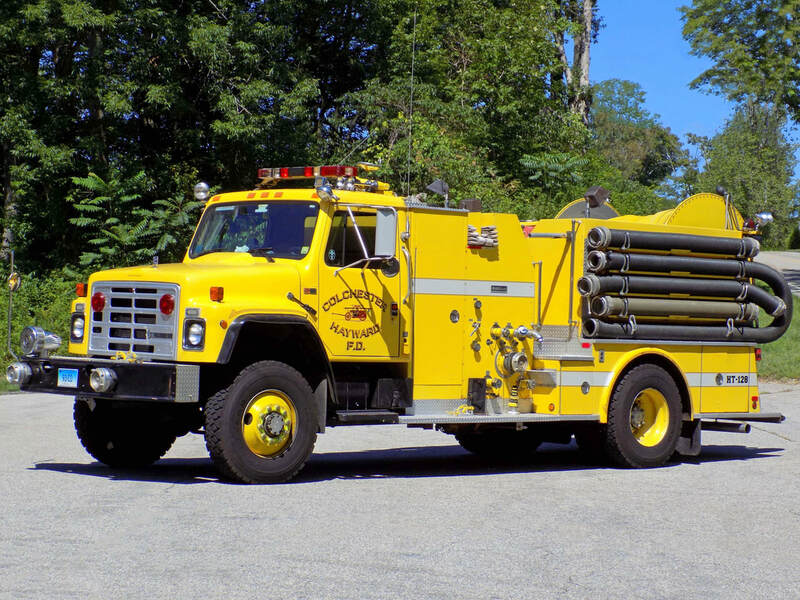 Colchester's Hose Tender 128, a 1987 International/Middlesex. 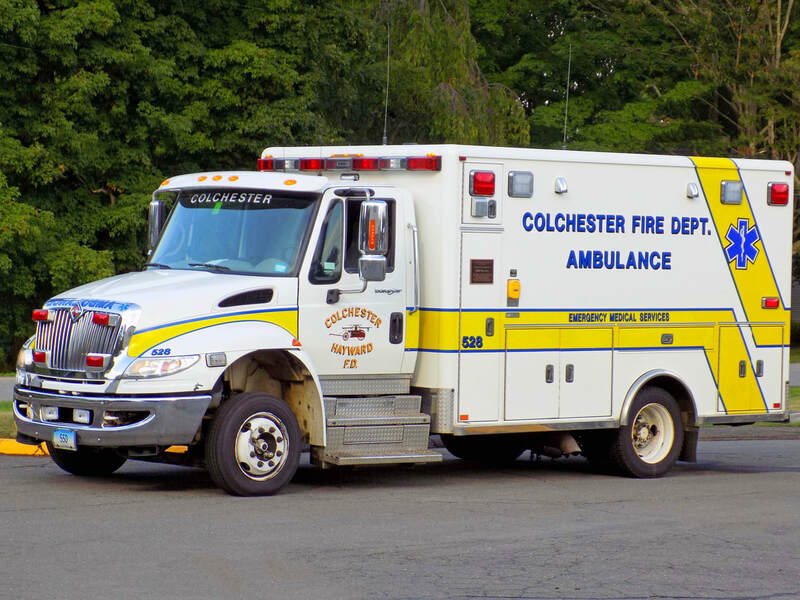 Colchester's Medic 528, a 2010 International/Horton. 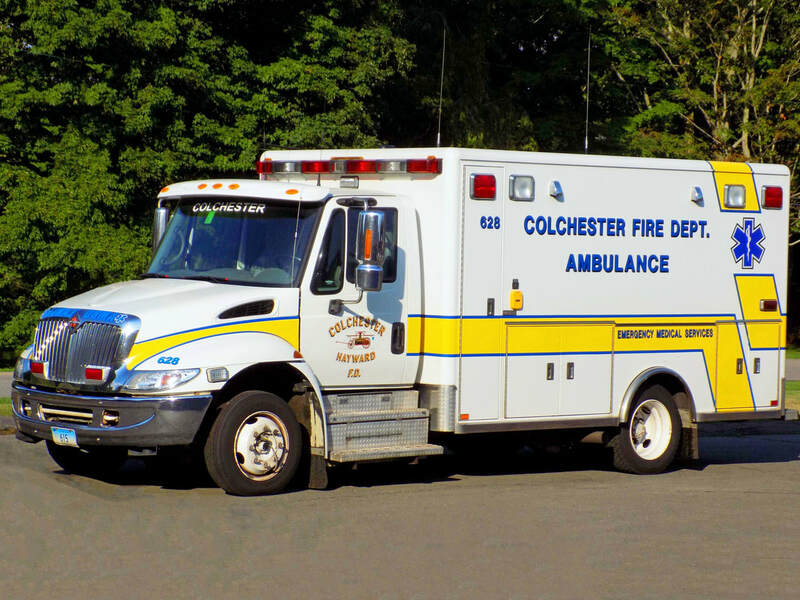 Colchester's Ambulance 628, a 2006 International/Horton. 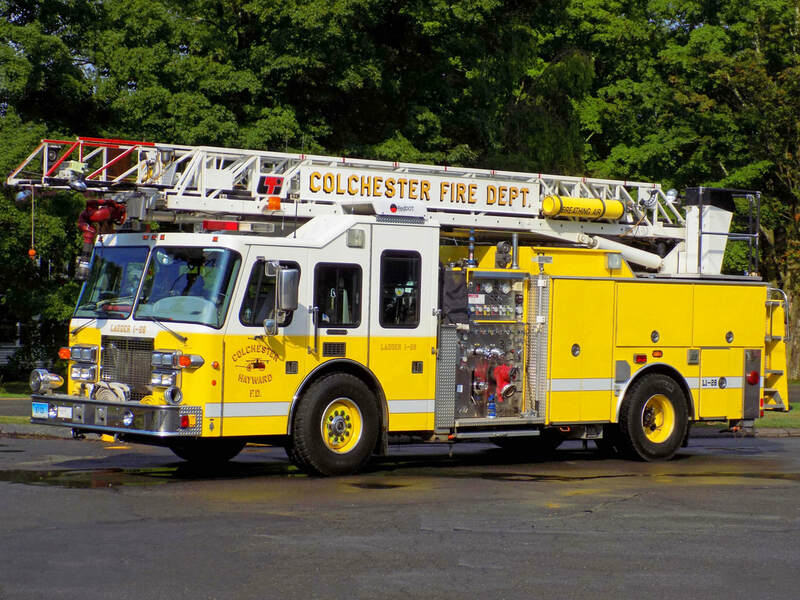 Colchester's Ladder 128, a 1996 Simon-Duplex 75ft RMA ladder truck. 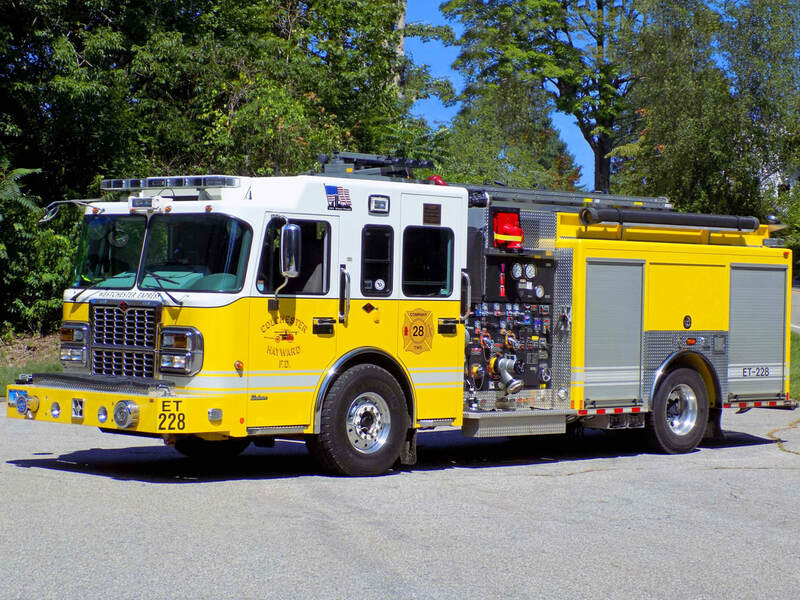 Colchester's Rescue 128, a 2014 Spartan/Marion. Colchester's Utility 128, an unknown year Freightliner stepvan. 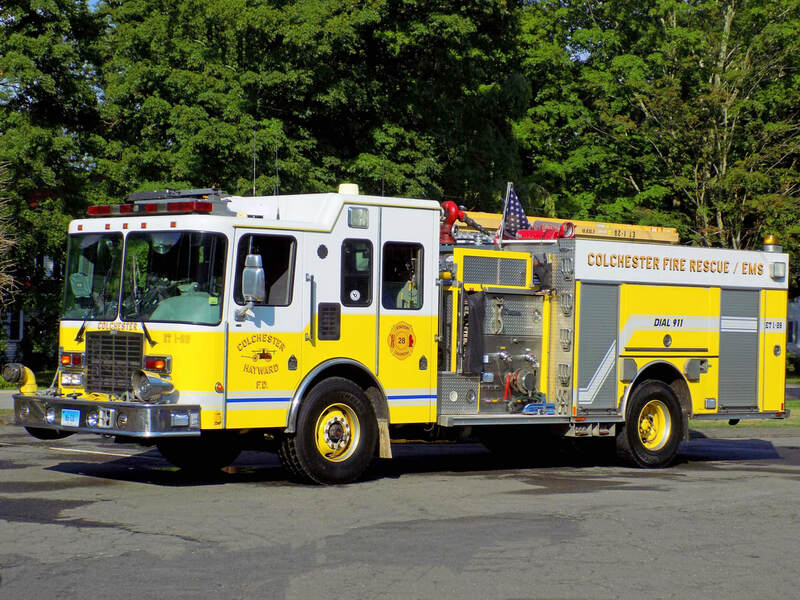 Colchester's Station 28, located at 52 Old Hartford Road in Colchester, CT.